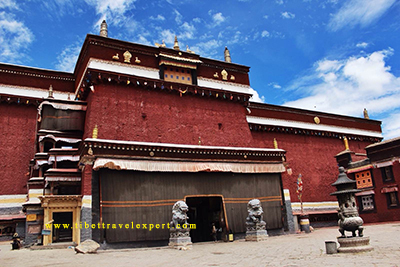 Sakya Monastery,Highlight Attraction in Shigatse,Tibet. 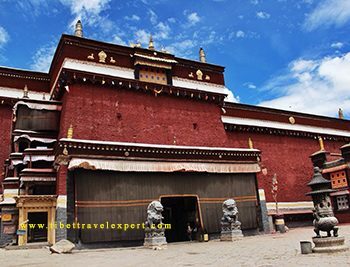 Sakya Monastery is the principal monastery of the Sakyapa Sect of Tibetan Buddhism, it locates 25 Km southeast of a bridge which is 127 Km west of Shigatse on the way to Tingri in Tibet. 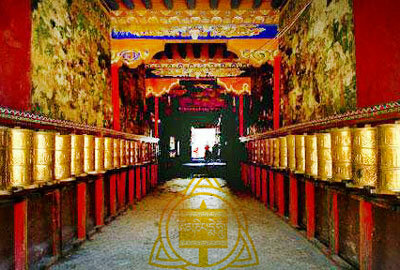 The building (the northern monastery) was constructed in 1073 by the founder of the Sakyapa Sect., Khon Konchog Gyalpo. The name, Sakya, means ‘gray soil’ in Tibetan language. Due to the destruction in 1960, for the northern monastery, there are only 2-storey hall remained today, the other parts were all in ruins. Luckily, the southern monastery is well preserved. 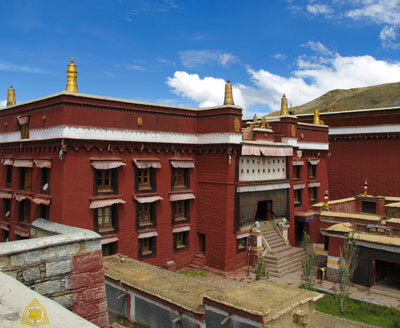 Built in 1288, the southern monastery was constructed by Drogon Chogyal Pagba, the 5th Sakya Throne Holder and had a few further reconstructions before the 9th Sakya Throne Holder. There are many beautiful Thangkas at the monastery and most of them were dated from the Yuan Dynasty (1271 – 1368). The most famous one is the meeting of Kublai Khan with Phapka. With over 900 years’ history, Sakya Monastery is recorded the history of the combination of religion and politics in Tibet and also it is regarded as the sign that Tibet was brought into Chinese domain officially. 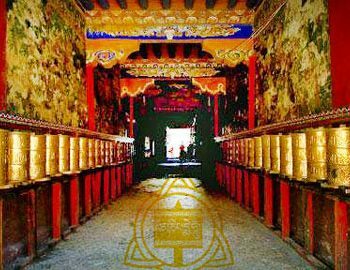 In the monastery, traveler can choose to visit the large collection of Sutras. There are over 84,000 scrolls sealed up in a wall (60 meters long and 10 meters high). It is expected that most of them will prove to be Buddhist scriptures, also some of them may relates to literature, history, mathematics, etc. Moreover, visitors can appreciate the Tibetan traditional art (Thangkas and Murals). During summer and winter, travelers can come here to experience the religious ceremonies. 2. The opening hour is from 9:00 – 12:00 and 14:00 – 18:30. 3. Please Walk clockwise from left to right after entering the monastery.